On February 12, western Pennsylvania became home to six billboards featuring Sisters from various congregations, inviting us all to “Pray. Act. 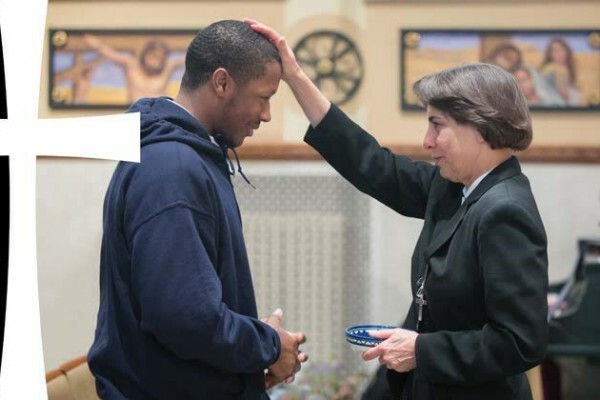 Be the Change.” One of the billboards features Sr. Linda Yankoski, CSFN, and the Holy Family Institute (HFI), a sponsored ministry of the Sisters of the Holy Family of Nazareth. Stories behind the images, including the story of HFI, can be found at sistersofwpa.org, where resources are available for persons inspired to action through prayer, service and support of efforts that align with the change they hope to see in the world. The Sisters will also engage in a collaborative social media campaign using the hashtags #PrayActChange and #NCSW. “Pray. Act. Be the Change” is a collaborative project of the Catholic Sisters Leadership Council (CSLC), and is made possible through funding from a $1,000 National Catholic Sisters Week mini-grant and donated space from Lamar Advertising. The project’s intent is to inspire others through increasing the visibility of Catholic Sisters as they continue to serve as leaders, collaborators and advocates for peace, justice and care for creation. More information and links to each congregation’s website are available at sistersofwpa.org.